I usually do not write about the big issues or controversial topics like gun control, but after recent events I decided it was time to discuss this issue. The amount of gun violence leading to injury and death in the US is getting out of hand. It seems every time you put on the news, the top story is about someone who was shot or about some shooting that has taken place. It happens so often, we don't even think twice about it unless it is someone we know or some place near by. Personally I do not own any guns nor do I have any intention to purchase a gun. I know there are a lot of people who are in support of having guns and many who are against it. Maybe it is the environment I live in which is suburban but in my opinion, guns are way too dangerous for people to be owning and carrying around and most of the time lead to unnecessary violence and tragedy. One argument those in support of guns might make, is that it is our right as Americans to bear arms. This policy was put into place about 225 years ago when the United States was a very different place. Things have changed tremendously since then. Our population alone has grown dramatically from about 4,000,000 at that time to over 323,000,000 in 2016. We are now a modernized civilized society and there is no reason for everyday people to be owning or using guns in these times. Another argument is that people should have guns for self defense. It is a good argument but according to the statistics of last year, only about 3% of gun related injuries and deaths were because of self defense. This is a very small percentage and not enough to support this reasoning. My first proposed solution was that all guns be recalled by the government and that citizens be offered a fair market value for their guns. The problem I found with this is that there are too many guns out there (estimated over 300,000,000) so it would be much too expensive to reimburse something like this. Maybe something like a tax credit could be offered instead of a reimbursement, but it would still cost the US a lot of money to do this. I think the solution has to be more of a social change within the citizens of the country to make the effort to either get rid of their guns or use them more responsibly. 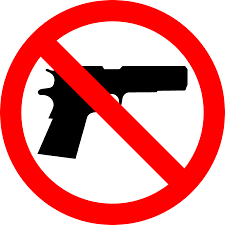 There is not much that can be done about the guns that are already out there, but changes can be made to restrict the future purchases of guns so they do not end up in the wrong hands. This as well as education on gun safety may be the way to start making a change on this issue.